DataBlink — Bangkok System & Software Co.,Ltd. Datablink’s advanced authentication and transaction signing solutions are uniquely simple and powerfully secure. Making out-of-band authentication easy for end users, Datablink arms your financial institution with a significant differentiator to tout. We are your trusted, cost-effective partner to prevent fraud and enable business. Datablink creates a secure channel between the device and a bank’s backend. 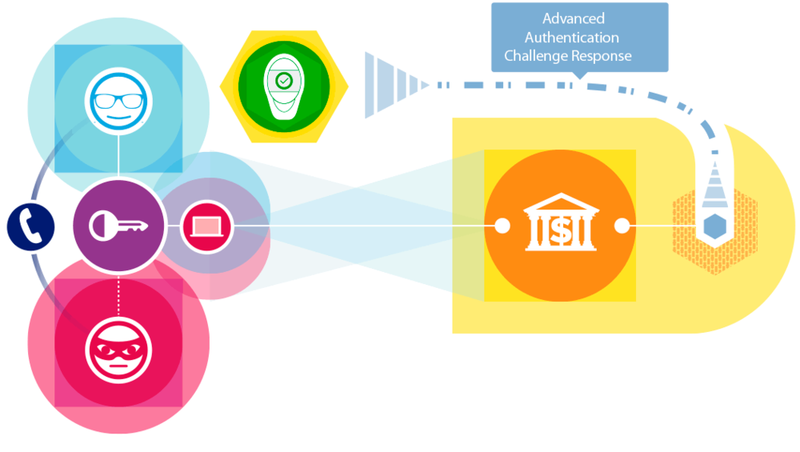 Whether it’s a Datablink physical device or mobile app, it requires both the physical presence of the authenticator while also employing challenge and response techniques. No other authentication company offers this advanced approach. Datablink’s physical devices and mobile apps provide significantly enhanced security compared to traditional tokens. Through patented technology, Datablink implements a challenge and response mechanism for the users’ advanced authentication – all from reading a blinking image as well as the generation of a one-time dynamic password. Organizations can easily customize the display size, labels and other features to meet specific needs. Authenticating a user is the first step. Verifying each individual transaction is the key. Datablink’s innovative screen reading technology frees the user from the need to re-enter data in order to generate electronic signatures for a transaction. By employing transaction signing using a unique internal key, time and transaction data, Datablink provides protection against even the most sophisticated fraud schemes seen today. Datablink’s physical device uses patented technology to create a secure channel with the backend of the financial institution. It enables advanced authentication and financial transaction signing by reading a blinking image and generating a one-time use challenge and response-based dynamic password or signature. The user simply presses the lower button to enter the reading mode, points the sensor in the direction of a blinking image on the computer or other screen, and confirms that the displayed transaction values are correct. 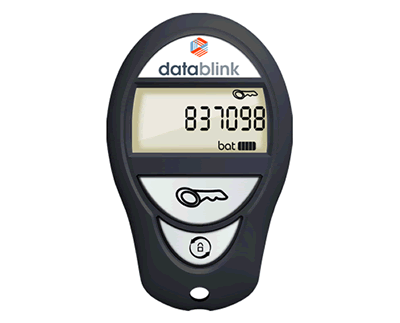 Datablink Device 200 offers significantly enhanced security compared to traditional tokens. Through patented technology, Datablink Device 200 creates a secure channel with the backend of the financial institution. It enables advanced authentication and financial transaction signing by reading a blinking image and generating a one-time use challenge and response-based dynamic password or signature. Unlike competitive solutions, Datablink Device 200 is a truly intuitive solution that offers unmatched ease of use with its unique screen reading technology that frees the user from the need to re-enter data in order. Featuring a card and an envelope to generate different passwords for each use, Datablink Card 100 is a simple and easy-to-use authentication system. Offering 1,200 to 3,600 combinations of possible challenges, it provides greater security and a longer use time compared to other similar options. Additionally, passwords can be requested through simple authentication, ambiguity of columns and letters, and/or coded virtual keyboards, offering a variety of protection levels not only for Internet banking, but also ATMs, phone banking, mobile banking and e-commerce. Datablink’s mobile apps allow users to receive a notification on their phone (push notification) that includes their authentication attempt approval request or transaction details as well as a request for verification. Verifying the transaction details will automatically be communicated to the backend and the transaction will be approved. If no data channel is available, the user can use their Datablink app to take a picture of QR Code with their phone’s camera, displaying the transaction amount on the phone screen. The user confirms and validates the transaction, generating an electronic signature that is ideal for e-commerce applications and to authenticate and sign online orders. An innovative mobile app, Datablink Mobile 200 enables users and their banks to prevent unauthorized access and fraudulent transactions. It enables advanced authentication and financial transaction signing. Rather than requiring a user to physically type a code into a device to generate a one-time password, users simply use their smartphone to confirm their identities. No other devices are required. To verify a user’s identity or sign a specific transaction, the organization can choose to employ push technology or use a QR Code that is read by the user’s smartphone camera. Designed to provide strong authentication for backup and recovery purposes as well as for eventual users, Datablink Mobile 100 sends one-time passwords through a text message or phone call to mobile or landline telephone numbers. Datablink Management Server can also validate electronic signatures for transactions generated by Datablink’s devices and applications. Datablink Management API provides organizations with the needed tools and libraries for dynamic application development. With low management costs and minimal performance or environmental impacts, Datablink Management API enables the smooth integration of Datablink’s advanced authentication and transaction signing solutions while also enabling validation directly inside an organization’s legacy or new applications – whether operated as standalone, client server or from the web. Datablink Network Logon serves as a Windows network logon application that enables secure network access with Datablink’s unique devices for advanced authentication. Datablink Network Logon protects an organization’s network from intruders while still cost-effectively ensuring secure access for trusted users.